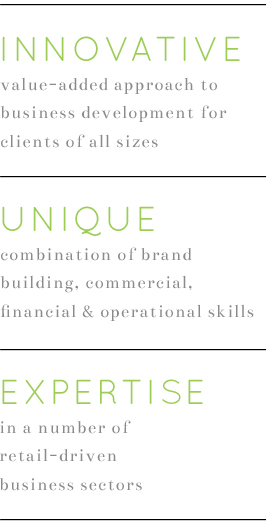 MGL Associates employs an innovative approach to driving business success for clients of all sizes. MGL designs and executes tailor-made client strategies to maximize both short and long-term goals. MGL works with start-ups as well as established companies seeking to achieve the next level of growth. MGL utilizes a vertical growth model which combines executive management expertise with focused initiatives in marketing, sales, public relations, and social media. MGL brings unique value-added skills in branding, business development, financial and operational management, international expansion, and guidance of start-up operations. MGL draws from experience in a number of industry sectors including Cosmetics, Personal Care, Fashion and Accessories, Home and Interior Design and other retail-driven sectors. In addition, MGL offers critical international expertise to assist clients in developing their businesses in the global marketplace.